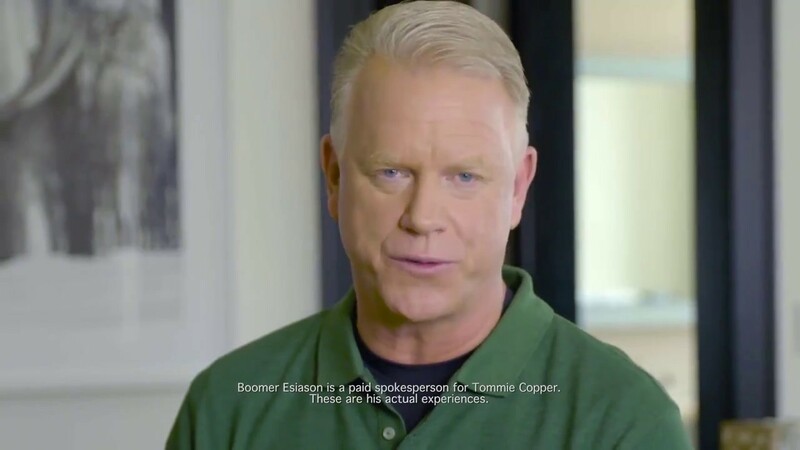 Dec 1st, 2016: Pro Football Legend Boomer Esiason represents Tommie Copper. Nov 17th, 2016: Heather Thompson of Real Housewives of New York announced as spokeswoman for Tommie Copper Kids. Nov 16, 2016: PGA Magazine says Tommie Copper makes the perfect base layer for golfing on cold days. The Compression Elbow Sleeve, designed in our proprietary light weight, 4D stretch and patent pending Copper Znergy® fabric, brings recovery and relief to one of the most regularly used joints in the body with targeted compression at the elbow. The light, low-profile design fits comfortably under your workout or dress clothes and features anti-odor and moisture wicking capabilities. Includes (1) Tommie Copper Men's Core Compression Elbow Sleeve. We call it Copper Znergy. 100% Copper and Zinc encapsulated fabric. The proprietary 4D Lycra stretch fabric wicks away moisture to regulate body temperature and offers natural and permanent anti-odor technology inside and out by eliminating the growth of odor causing microbes on the fabric. The UPF 50+ provides protection from the sun's harmful UV rays for advanced skin health benefits. My dad uses these and it helps his muscle pains a great deal.